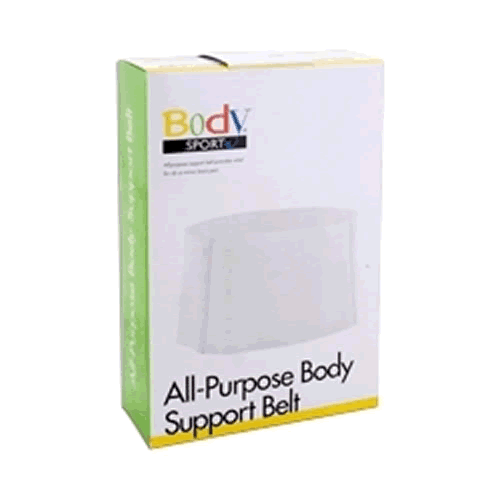 Value Back Support Belt, manufactured by Body Sport, are back support belts that are designed to support the ribs and lower back. These Back Supports are multipurpose, with a six inch wide band that is contoured to best fit the body. Orthopedic Back Supports by Body Sport are completely elastic, so they are comfortable to wear for a variety of individuals. Back Support Belts are perfect for holding a cold pack in place. This Back Support features permanent stays to prevent rolling of the Support Belt. Contoured for a perfect fit. Supports the rib and back areas.